The People's Postcode Lottery has been operating in the UK since 2005 and is the biggest Charity Lottery in the country. 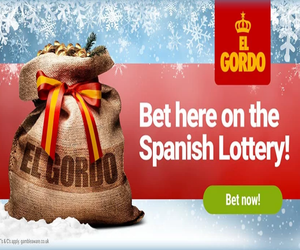 By playing on this Lottery not only can you win your share of £2 Million and cash prizes every day but you will also be helping to donate millions of pounds to good causes. Time is running out to play for your share of £2 million. The People’s Postcode Lottery has been operating in the UK since 2005 and is the biggest Charity Lottery in the country. By playing on this Lottery not only can you win your share of £2 Million and cash prizes every day but you will also be helping to donate millions of pounds to good causes. Rather than picking numbers your ticket is based on your postcode. The tickets cost £10 per month which gives you entry into all their draws where you can win cash every day. The various draws include the Postcode Millions where you can win a share of £2 Million, this is drawn 6 times a year. In their Street Prize every ticket in one postcode wins £10,000, with daily winning tickets picking up £1000 each. Each month there is another draw where each winner takes home £100,000, one winner gets a brand new BMW and another three tickets get a £5000 dreeam holiday. Some of the charities and other good causes that are supported by the Peoples Postcode Lottery include Children 1st, Maggie’s Cancer Caring Centre, Missing People, WWF, Woodland Trust Scotland, Children North East, National Trust, Canal and River Trust, Daisy Chain, Yorkshire Wildlife Trust and many more. To date the Lottery has donated almost £25 Million to good causes. Opening / Special Offer: The Postcode Millions events offer their biggest prizes giving you the chance to win your share of £2 Million. You can also win cash prizes each and every day from just one ticket. Been playing for just under a year and not won a penny, neither have I met anyone who has ever won anything….so that’s £120.00 which would have been better off in my pocket. stay well away from these people, entered for just one draw but they continued to take funds from my bank even though I phoned ane emailed then to cancel. If there s only a couple of you playing with your postcode you will never win, I have been playing for almost two years now, but there is only 4 of us with this postcode so I know we will never win, convinced the advert with people getting their cheques are actors.